For a more in-depth discussion of WordPress and what it can do for you, continue reading. Must you have a website? Consider this: on February 5, 2016 at 9:34:36 p.m. there were 3,301,557,629 Internet users”Source:. If you look at the stats right now, you will see that the number has increased significantly. With one website, you could theoretically reach all of these people. Your website’s reach is vast. Nothing in human history even begins to approach the potential reach of a single website, not newspapers, radio, or even television. A CMS, or “Content Management System” is a website app that allows you to publish, edit, modify, organize, delete, and maintain your content from a central interface. A CMS can also streamline collaborative workflow. CMSs have been available since the late 1990s. A CMS is often used to run websites containing blogs, news, and shopping. Many corporate and marketing websites use a CMS. A CMS typically aims to reduce the amount of hand coding required to create, add to, or modify a website. WordPress is an Open Source CMSA CMS (Content Management System) allows users to publish, edit, modify, organize, delete, and maintain content from a central interface. that enhances development, makes it easy for users to add content, and is widely supported. WordPress started as a blogging platform but has blossomed over the years into a full-fledged and highly flexible CMS that has become the management software of choice for non-blogging websites. WordPress has grown with the web. It started out as a blogging platform but has grown into a full-fledged solution for creating websites as well as blogs. It used to be that you would need a website and a blog on two different platforms. Not anymore. Now you can develop, manage, and use your website and blog form a single, unified interface. WordPress is far and away the leading CMS solution worldwide. No other CMS even comes close to its marketshare. And its share of the market continues to grow rapidly. There are many reasons for this. One of them is that it represents the most flexible and dynamic solution that is widely available. Besides that, It’s completely free to install and use. There are roughly one billion websites”Source: in the world. The rate of growth has been staggering. In 1991, there was one website. In 2014, there were 1 billion. Of the top 10 million websites, 56.3% use no CMS at all and 25.8% use WordPress. This is a 59.1% CMS marketshare. We have created, and will create for our customers who request it, pure HTML5/CSS3 websites. But we have concluded that WordPress is the best path for most website design and development. WordPress has come of age. Besides, the WordPress slogan is “Code is Poetry”. The intuitive WordPress interface is easy to use. You can create new blog posts and add images with the click of a button. You can focus on your content rather than on the technology. You can upload images, sounds, videos, and files all with out using FTP. WordPress updates easily and is always free. You can edit and create your WordPress pages using any computer or operating system, Windows, OSX, Linux, Unix, BSD, Chrome OS, etc. WordPress runs on highly optimized code that delivers well-formatted pages, exactly what search engines are looking for. Both your blog and your website can easily run on a single installation of WordPress. No need for complicated solutions and multiple approaches. WordPress simplifies the entire process of your web presence. With WordPress it’s easy to assign different roles to different users. One person can administer WordPress itself, while another can have editorial control over pages, posts, and comments, and yet another person can post your content. The possibilities are endless. You don’t have to wait for a web designer to make simple changes to your pages. Do you need to change a price? Delete or add an employee from your staff page? No problem: you can do it. Because of its popularity and widespread use, it’s supported by many developers. This makes it easier for you to find a developer if you require deeper changes to your website. Plugins extend the functionality of WordPress. At this writing, 42,842 of them are available free at WordPress.org. Plugins are available to do everything from turning your website into an online store (e.g. WooCommerce) to turning a portion of your website into a forum (e.g. BBPress). 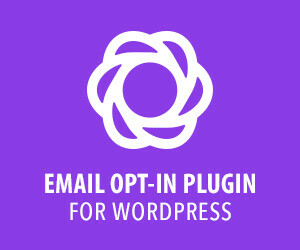 In short, there’s a plugin to assist with virtually anything you want your website to do. Hundreds of premium plugins are also available to extend and improve your website. The Poetic Webworks monthly newsletter is filled with tips about how to make WordPress work for you.